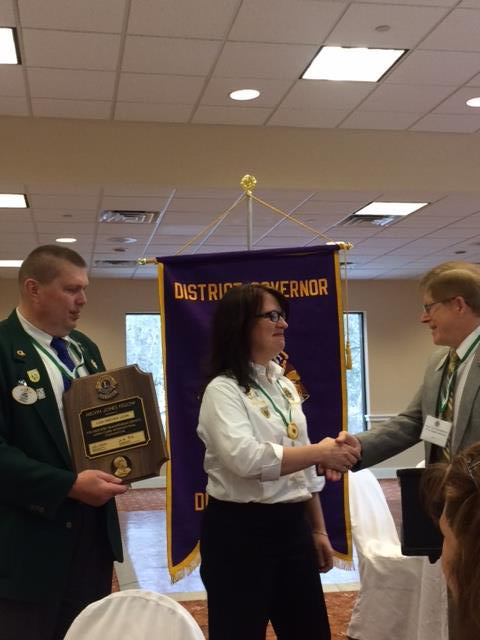 The Lions of Pennsylvania in District 14U truly demonstrate the spirit of our great association of Lions Clubs International through their wonderful hospitality, dedicated service from the heart, and recognition of the importance of strong leadership in our second century. We were so impressed by the expert planning that took place months before this convention. It was quite evident throughout the weekend that the Lions of District 14U have a great history in the state. 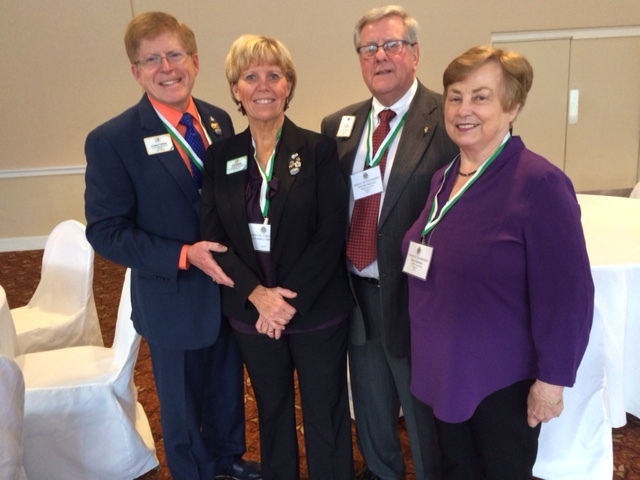 We were met at the airport by our wonderful hosts, Past International Director Robert “Bob” Miller and his wife, Lion Judy (shown in the first photo with us); along with District Governor Larry Williams and his wife, Lion Holly Ellis. 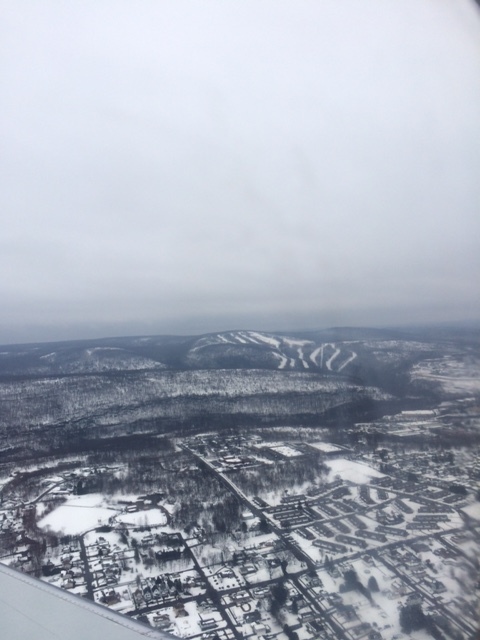 The convention took place at the Chateau at Camelback in the beautiful Poconos, a ski and resort area near Scranton, PA. They saved some snow for us; but we brought some Florida sun to help it melt! The dinner was lovely and a memorial service to honor those who had died during the past year was very special. Following the service, 1st VDG Charlie Zimmerman and his club hosted a hospitality event with live music to celebrate the 100th birthday of Lions Clubs International. On Saturday morning, delegates began the day at the Melvin Jones breakfast. 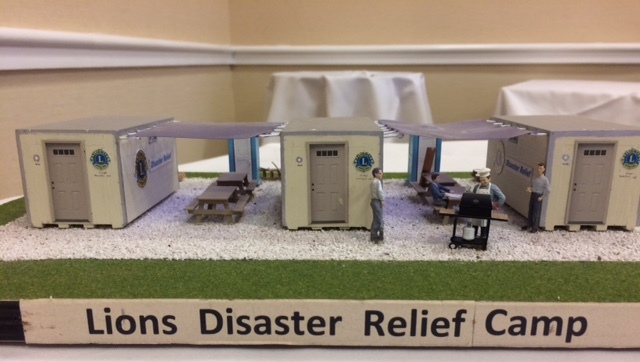 The outstanding program featured Lion Jim Groff who spoke on the importance of Lions being involved in disaster relief efforts. 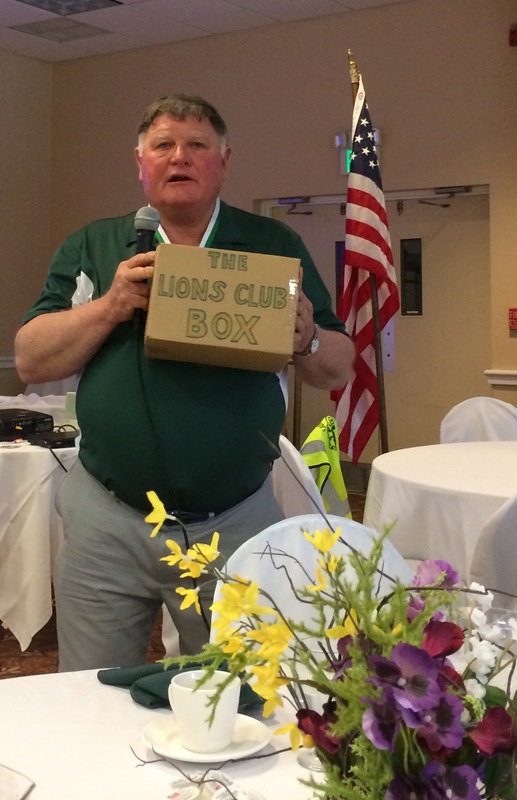 Lion Jim Froff used a box to explain how clubs can become confined by things have always been done, instead of getting outside the box and trying new things. He told the story of traveling to Joplin, Missouri to help rebuild that community; as well as the actions he took to help New Jersey families recover from Hurricane Sandy. I had the honor of assisting with the presentation of two new Melvin Jones Fellow recipients: 2nd Vice District Governor-Elect Jessica Karrer and Lion Lisa Orehek Leon. 2nd VDGE Jessica receives her MJF. I enjoyed the opportunity to present a seminar outlining LCI Forward, the strategic planning process for Lions Clubs International that began in 2015 and will continue into the Lions 2nd century of service. This forward-thinking plan was initiated by PIPs Joe Preston and Dr. Jitsuhiro Yamada to shape the vision for Lions as they approach the 2nd century of service. One of the most exciting outcomes of this process will be the announcement by LCI President Bob Corlew of the official launch of the new Lions signature project of diabetes awareness, prevention, and treatment at the Centennial Convention in Chicago next July. 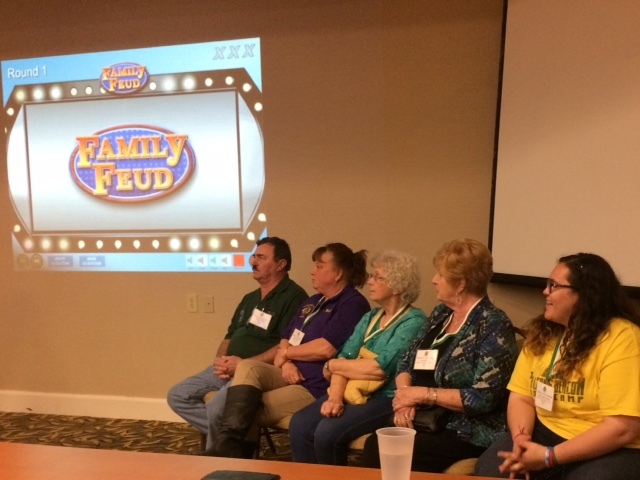 In the afternoon, the program planners scheduled a series of informative and well-presented programs, interspersed with some fun “Family Feud” competitions. Teams of Lions competed for a very impressive trophy! This was a great idea and the afternoon passed quickly. One of the Lion families concentrated as they enjoyed the competition. We extend our thanks to everyone for making us feel so welcomed. The lovely gifts and the donation in our name to LCIF were most appreciated. In turn, we presented the district leadership with our friendship banners: PID Robert Miller; DG Larry Williams, PCC Ron Dietz, 1st VDG Charlie Zimmerman, 2nd VDG Donald McConnell, 2nd VDGE Jessica Karrer, Cabinet Secretary PCC Robert Neumoyer, Cabinet Treasurer Angelique (Joy) Swuolensky, and Immediate PDG Ken Mims. 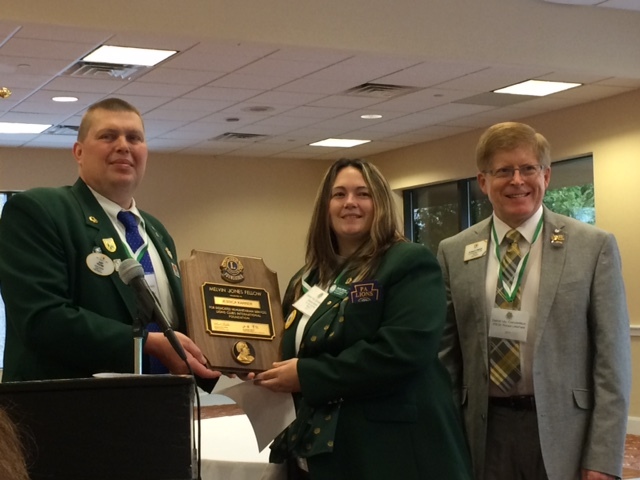 PDG Robert Neumoyer and Lion Sue Anthony received Presidential Certificates of Appreciation. We will always remember the fun and friendship we shared singing and “chair dancing” at the big round table Saturday night at the “after party.” A special shout out to our new friends with North Dakota roots, Gwen and PDG Bill Harkness (Go Bison!). Congratulations to Convention Chair, PDG Paul Moyer and the committee, District Governor Larry Williams, and all the presenters at the convention. As we began our trip back home to Orlando, we were reminded of how our lives have been affected by the opportunity to serve Lions Clubs International as Ambassadors of Good Will. We continue to enjoy being able to meet dedicated Lions around the world and speak about all of the great work Lions do to extend a helping hand to those in need. We sing out a special thank you to PID Cindy Gregg for inviting us to District 14U and we wish the best to all those who serve the needs of others. Nice to see how active you are keeping in Lions . 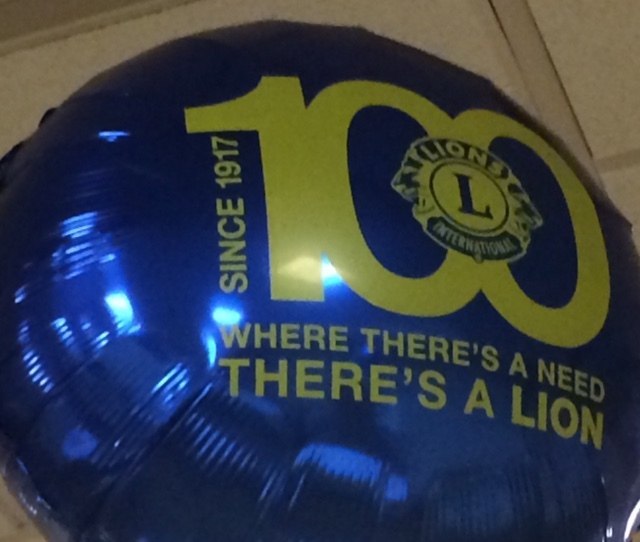 I’d like to extend an invitation to join District A9 and MDA in celebrating Lions 100 Anniversary. We are having a Centennial Dinner Cruise aboard the Chi Chemaunn Ferry on June 3,2017. We already have 350 Lions and friends going. If you think you might be interested in joining us for a holiday please email me at hvanm@eastlink.ca and I will send details of the cruise and the Jamboree. Keep up the great Lions work . 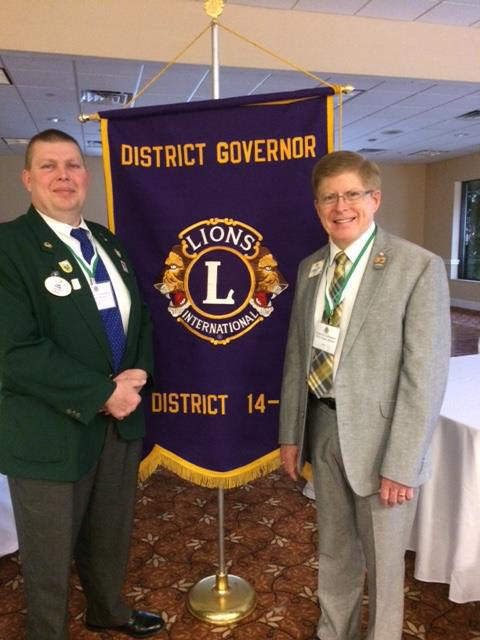 Lion Hank Van Moorsel, District A9 Centennial Chair.